Shelley Mydans, the daughter of a university professor, was born in Stanford, United States, in 1915. After college she moved to New York where she found work with as a journalist with the Literary Digest. In 1936 she joined the staff of Life Magazine where she met the photographer Carl Mydans. In 1938 the couple married and the following year they were sent to Europe to cover the Second World War. At first they went to England before covering the war in Sweden, Finland, Portugal, Italy, China, and Hong Kong. During this period they travelled over 45,000 miles in pursuit of picture stories. Shelley and her husband were in the Philippines when Japan bombed Pearl Harbor. Trapped in Manila they were captured by the Japanese Army and were interned with other Americans and remained in captivity until December 1943. Shelley wrote a novel, Open City, about her experiences in a Japanese prison camp. When the US Army regained the Philippines in 1945 Carl Mydans flew to Manila. 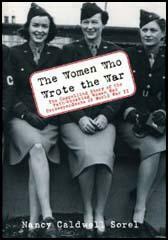 However, General Douglas MacArthur refused to allow women correspondents to cover the war and she had to go to Guam. She later recalled: "I was accredited to the navy, but I was not - because I was a woman - allowed to cover action on naval ships or planes and my articles had to be confined to such things as the navy flight nurses and marine base camps." After the war Shelley worked for ABC network and wrote scripts for the March of Time radio series but resigned when her first child was born. Shelley Mydans, who had two children, four grandchildren and one great-grandchild, died in Sacramento, California, on the 7th March, 2002. 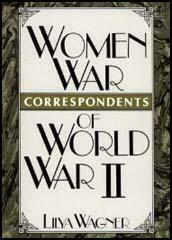 My work as a war correspondent in world War II was primarily as a writer/researcher for life which meant that much of the time I was working with photographers, making arrangements for their pictures, and writing the background and captions for their stories which were all excerpted and rewritten in New York. It was not a very glamorous job, though I did write signed pieces for Life once in a while and send dispatches to Time when there was no Time correspondent in the field."